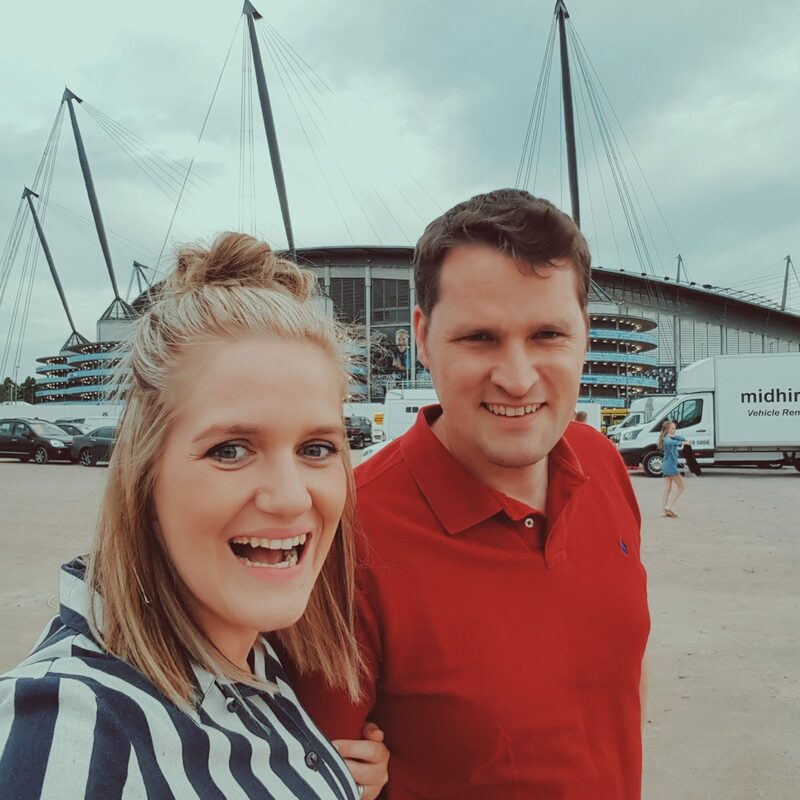 It’s been a whole 7 days since our epic date night which saw us going to see Taylor Swift live at the Etihad stadium in Manchester. 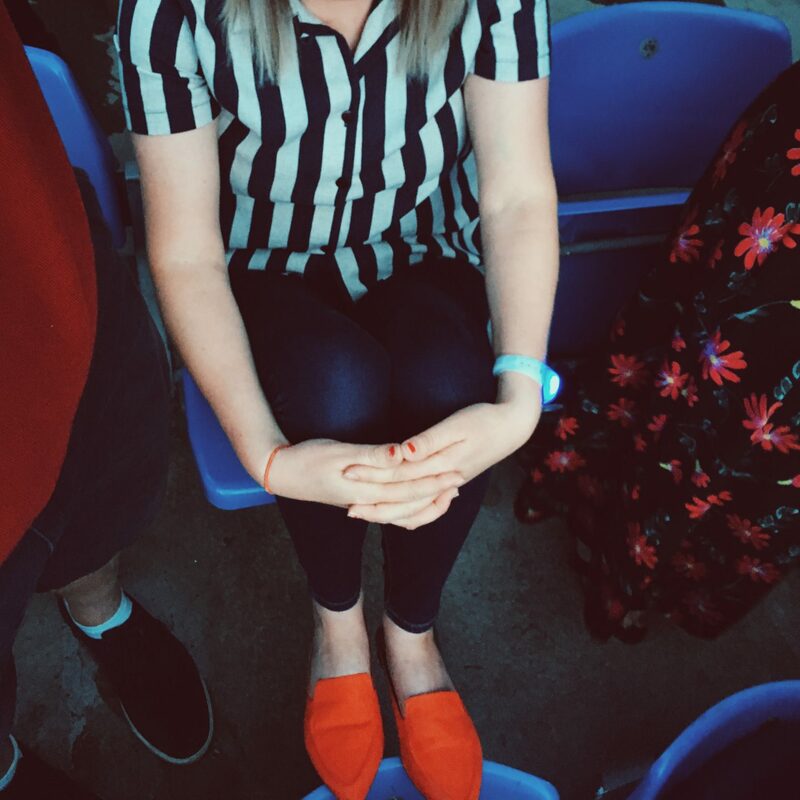 When going to a concert I always feel like I want to be a bit cool but also comfortable and casual, as obviously there is a lot of sitting and standing (and in my case shaking it)! I also wanted to dress for the season as it was a warm Summer’s evening, and so I decided on my orange shoes, a wide stripe navy and cream shirt, and a pair of high waist skinny jeans. I accessorised with my gold geometric earrings. My shirt is what one would call vintage. I bought it years ago now in a charity shop for a couple of quid and I don’t know why but it’s just one of those things I find really chill and easy to wear (probably because it’s a linen mix). It’s comfortable and with stripes in clothing being one of my faves, I love the stripes! My jeans are just from primark for like £11 and then my slip on awesome orange shoes are the latest addition to my wardrobe (and this season from Sainsburys), which I picked up when they had 25% off a couple of weeks ago, so were only £12! I loved the combo of navy and orange… this outfit was easy to wear, travel in, and dance the night away with the hubs! 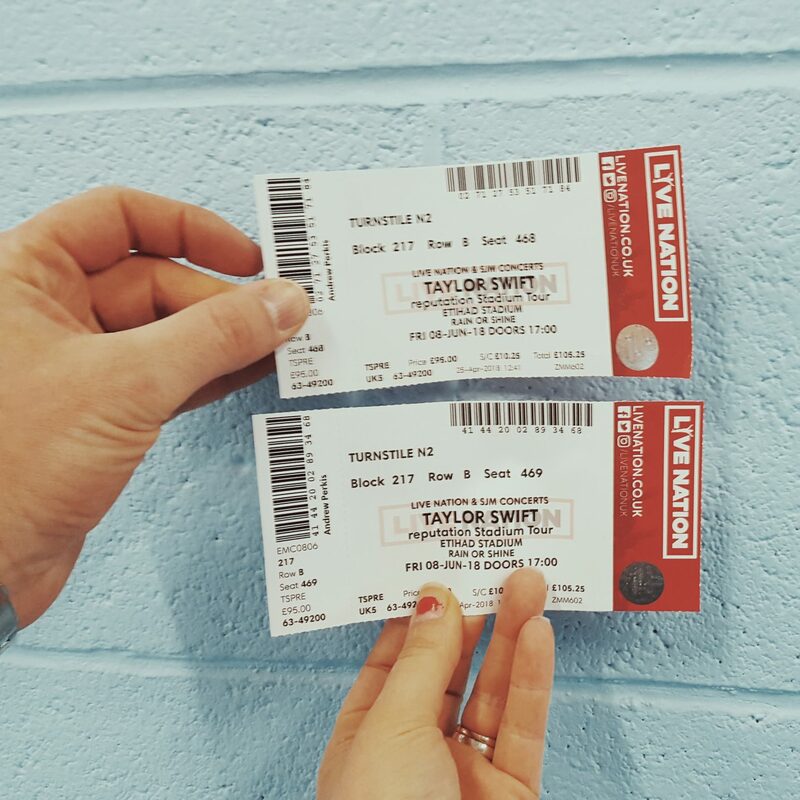 We bought these Taylor Swift tickets some time around Christmas last year if I remember rightly. Either way it feels like such a long time ago and ages that we have been mega excited about this social event in the calendar! 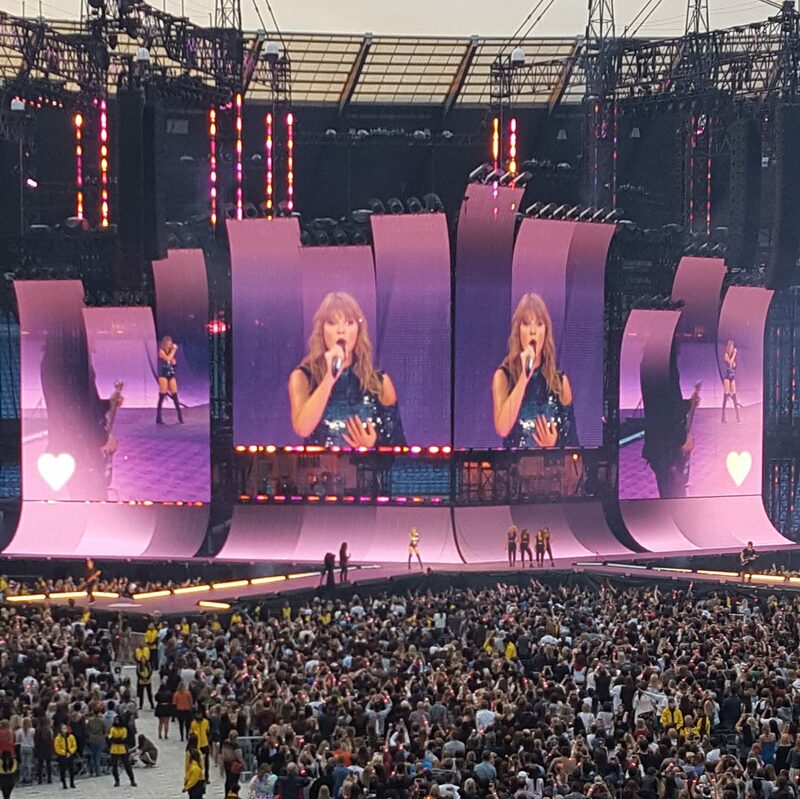 The atmosphere in the stadium was magnificent and not only did we have an amazing time seeing Miss Swift (in some pretty great seats), but we also had the added bonus of a bit of “Havannah”, “Never be the same” and more, by none other than Camila Cabello. Both of them were brilliant live. The evening was fantastic and quite possibly one of the best concerts I have been to! Taylor Swift songs are really meaningful and generally joyful and fun to dance to. Hearing her live though reminds you of how she is such an incredible artist and performer. I found her to be really passionate, funny and genuine. I love her variety and the attitude behind some of her newer songs, and from start to finish it was filled with surprises, astonishing things and it blew us away. I think one of my favourite things about it (aside from hearing so many of my faves live), was the infamous wrist bands you receive upon arrival to the stadium. Each person gets one and when Taylor comes on stage it activitiates it. 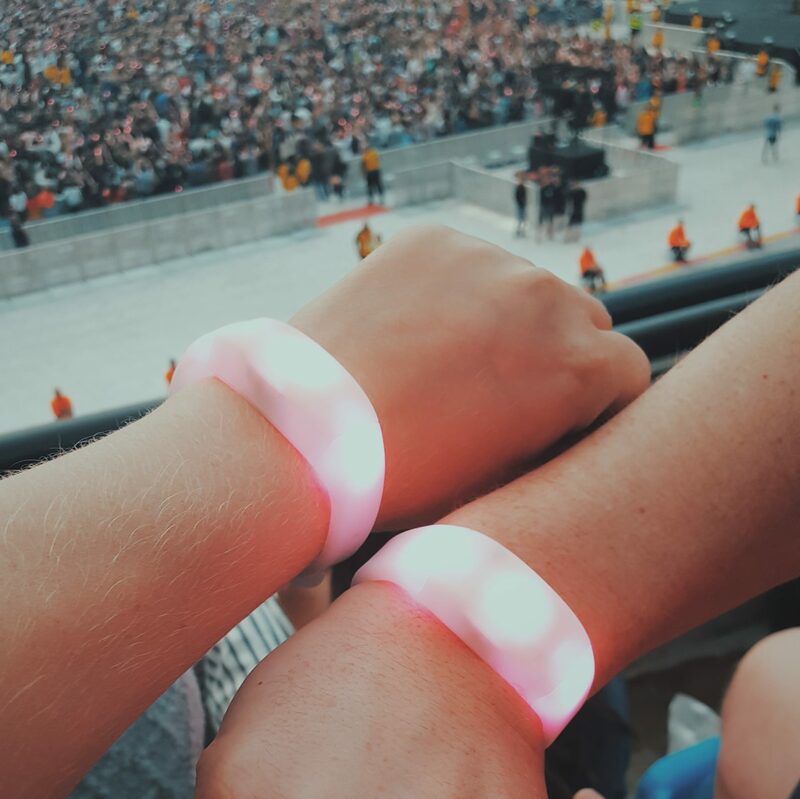 For the remainder of the show our wristbands were flashing in coordination with the stage lighting and music. As you can imagine with so many thousands of people all lighting up and dancing around the stadium, it was spectacular and beautiful. Going to this concert was such a surreal experience and I was glad to share it with Nath. 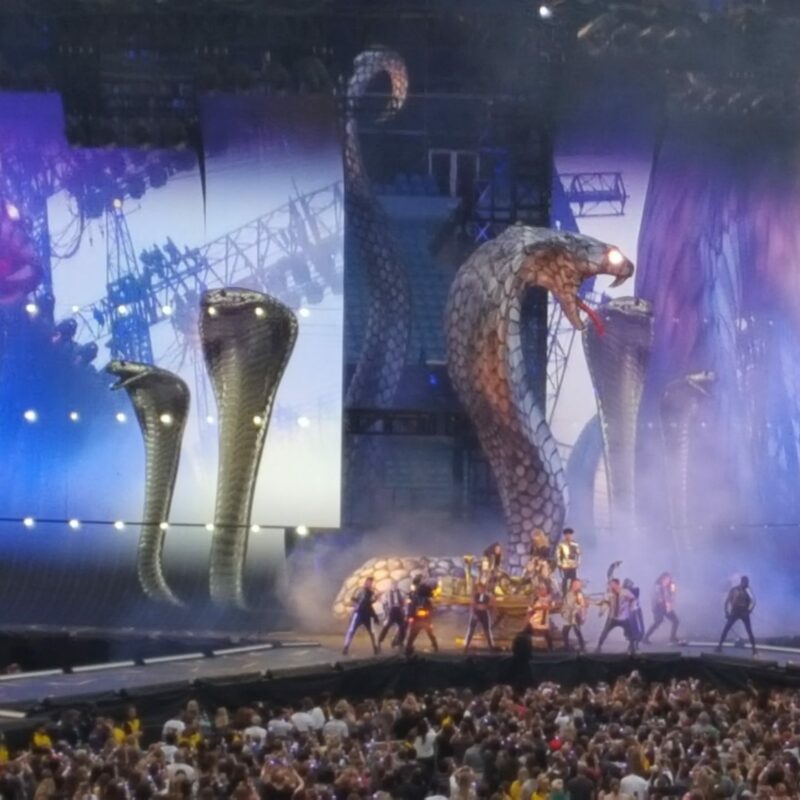 She had such an incredible set, fireworks, giant snakes and a brilliant band/backing dancers. 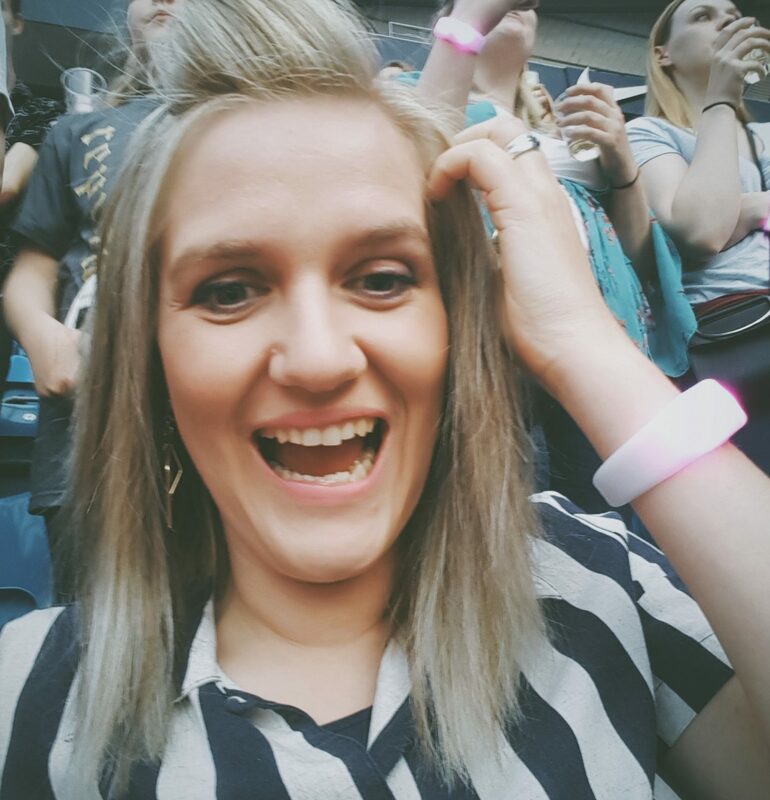 I loved it so much (we both did) and I hope I always remember the fun we had that night together seeing Taylor Swift Live, in my orange shoes and that old lady stripe shirt!